In many instances in your life, you will require to rely on a loan to propel your life or business. There are only a few people who live their entire life without borrowing, and it is the norm of life to borrow. On the other hand, you may also have some extra resources which you are willing to lend out to either family, friends, or people whom you do not know. As a borrower or a lender, you need protection to prevent you from being exploited as a borrower or your plan being defaulted as a lender. 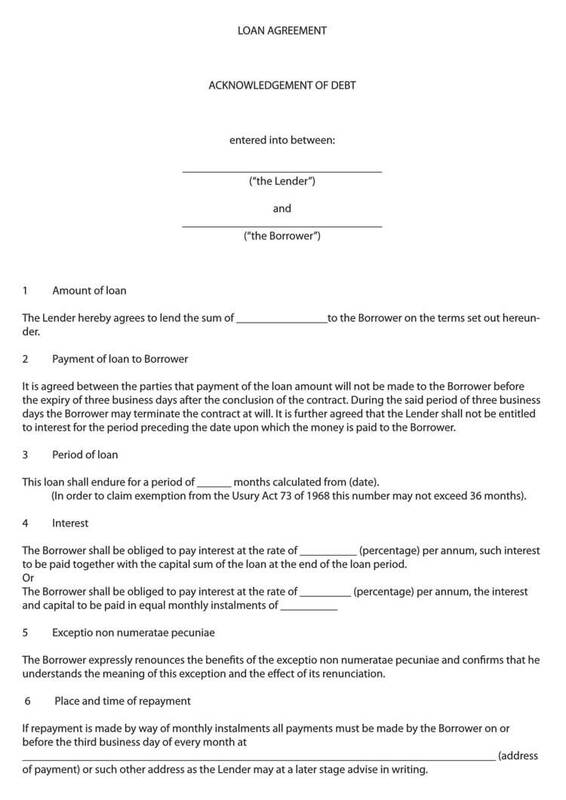 A loan agreement is a document that works to satisfy both the interests of a lender and a borrower. When is a loan agreement needed? 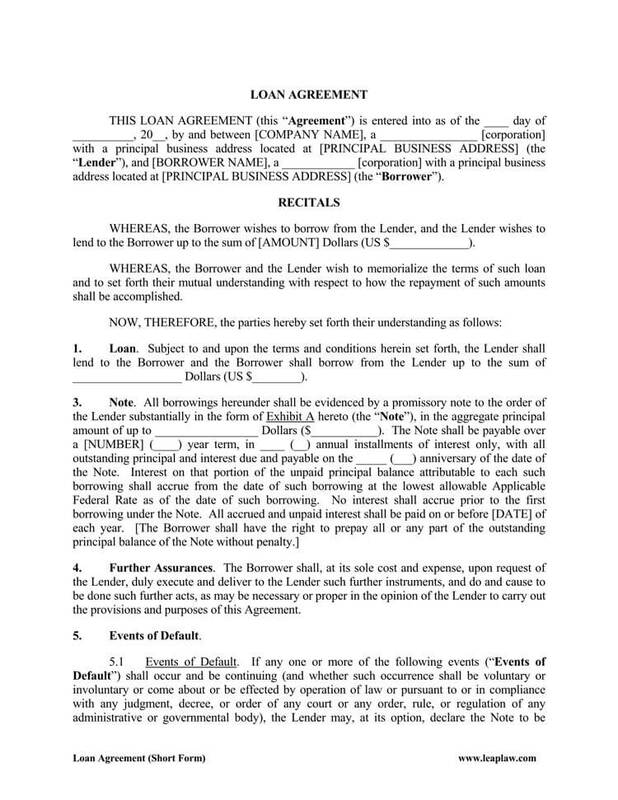 How a loan agreement serves? 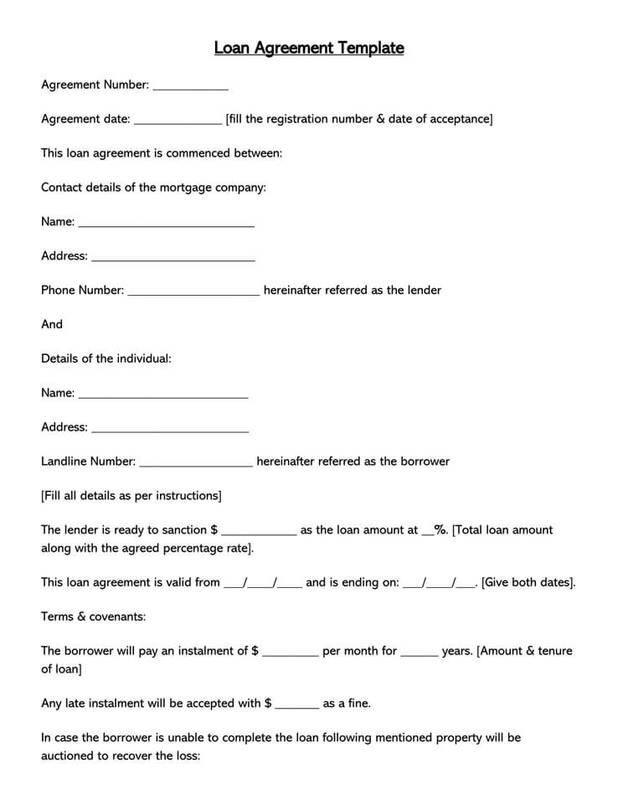 When should you sign a loan agreement? Is it okay to charge interest on personal loans? Which is the best payment schedule? Is it okay to loan to people with bad credit? Is it possible to get personal loan for bad credit? Subsidized loan vs. Unsubsidized loan? 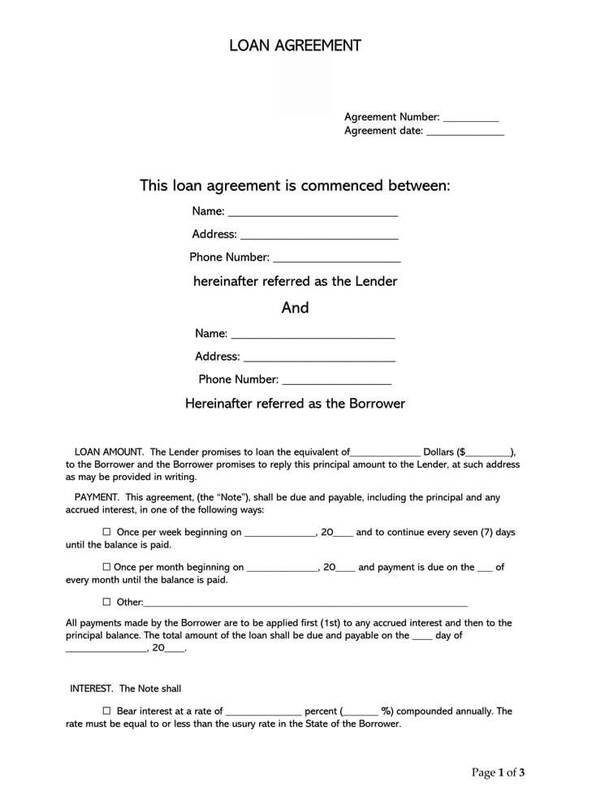 Short: A loan agreement is a legal binding formal document that constitutes both positive and negative covenants between the borrower and the lender to protect both parties in case either party fails to honor their pledges. 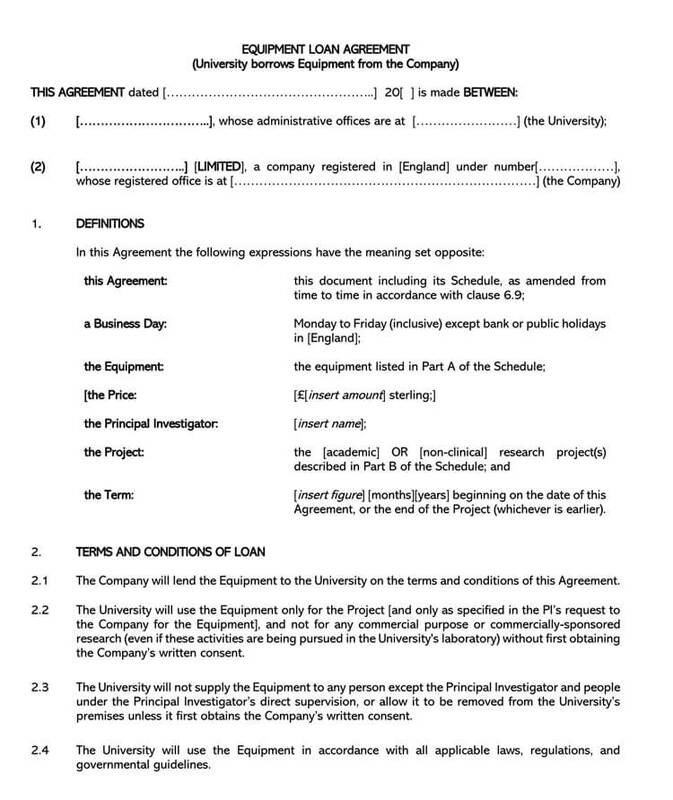 Detailed: A loan agreement is a written document that gives the terms and conditions that surround borrowing and repayment of money. 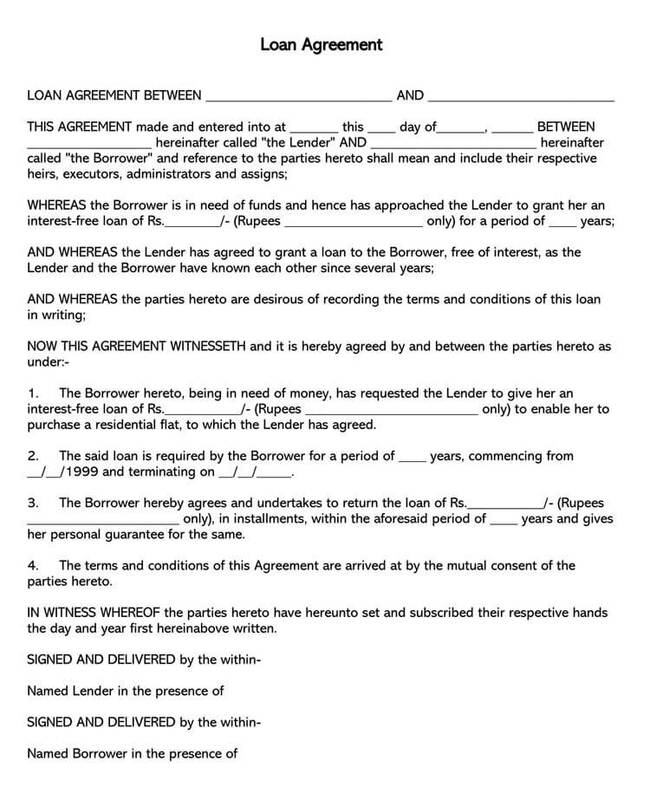 The agreement is made and interpreted to both the loaner and the loaned, upon which a consensus signing takes place. 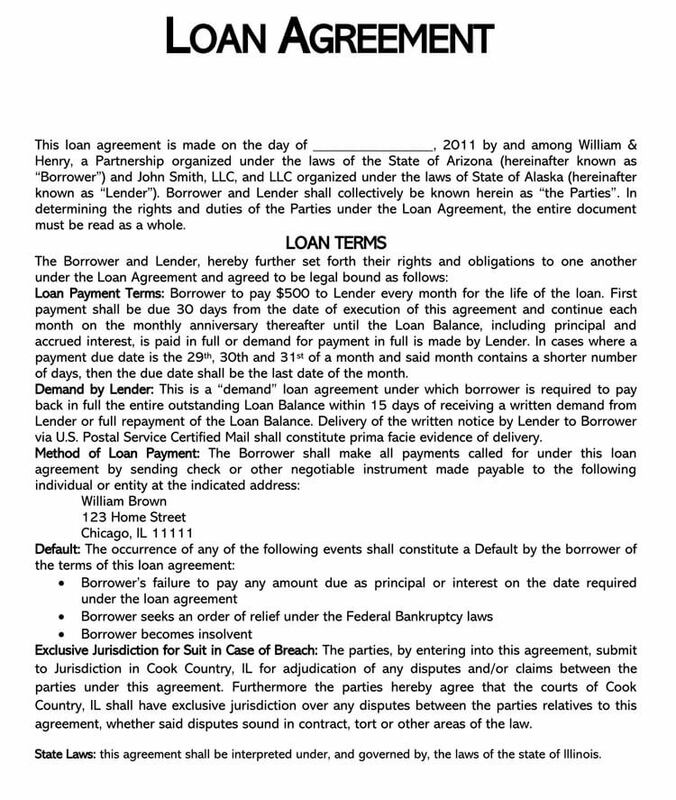 The agreement spells out clearly the details of the loan, the details of the borrower and the details of the lender. It also gives legally acceptable procedure of payment. 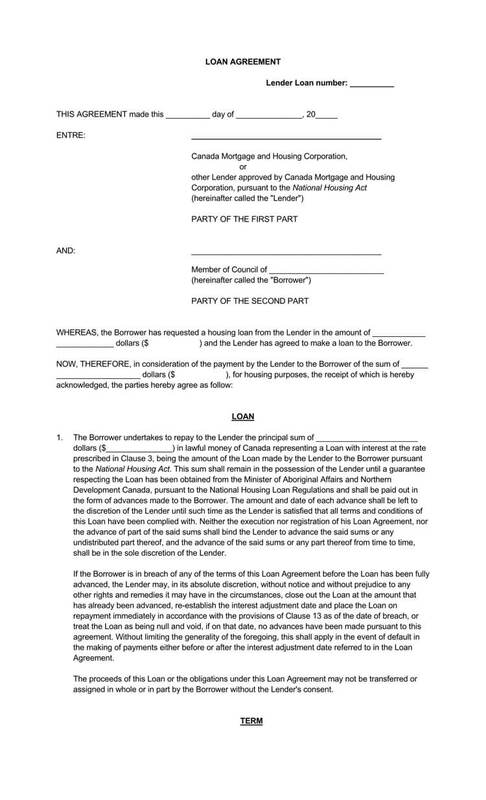 The document therefore binds the lender to keep the conditions that the borrowers accepts and vice versa. The document is dully signed, probably before witnesses for any transaction to take place. 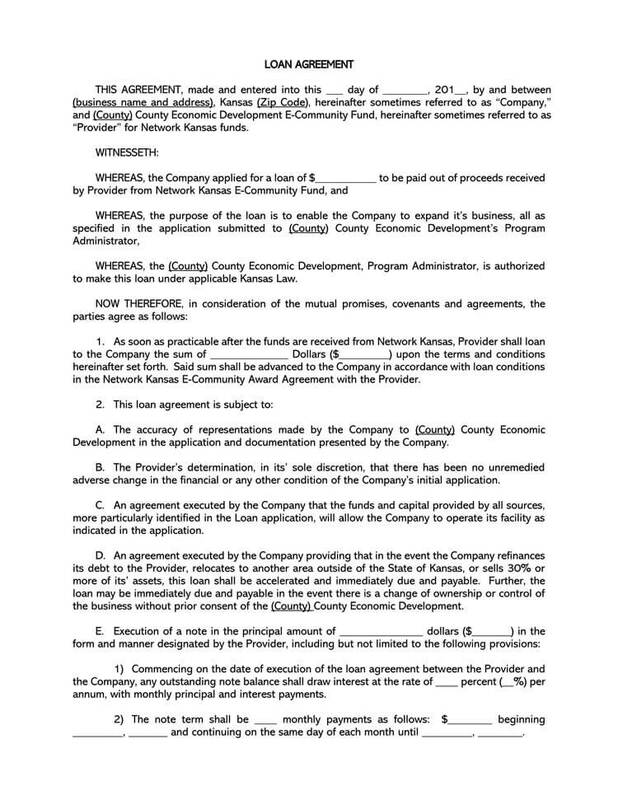 • A business loan agreement especially when the borrowed money is supplementing or starting a business. 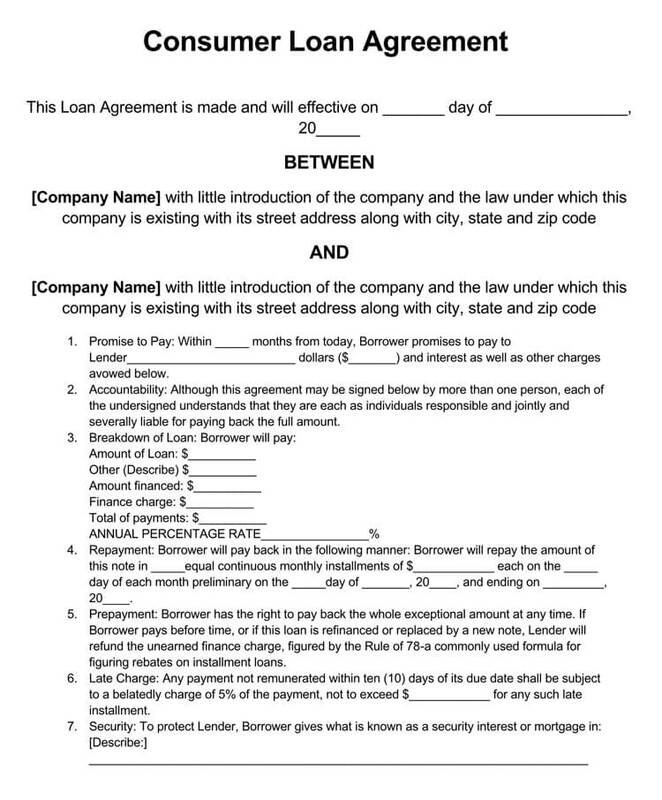 • A loan contract: This is when other parties including the employer if the borrower is involved in paying the loan. 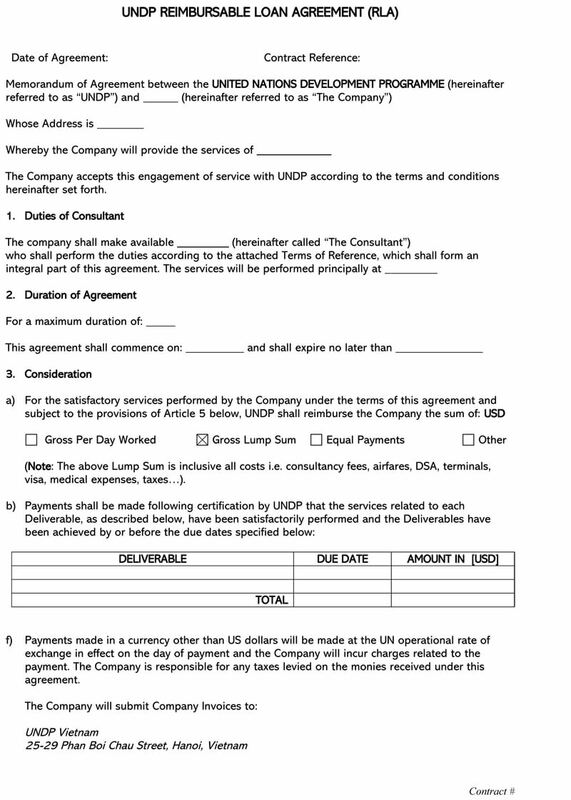 The contract lasts for a specified period of time. 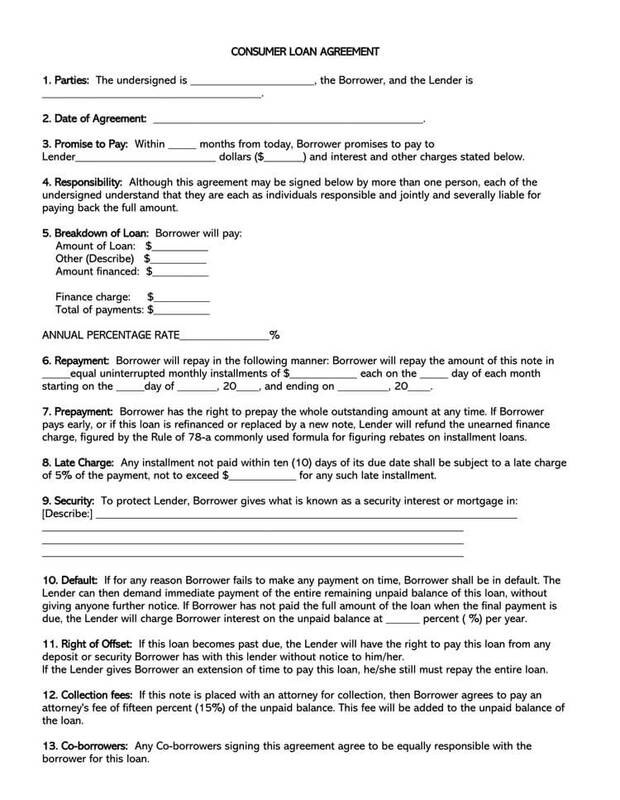 • Promise to Pay or Promissory Note. This comes up in cases of personal loans where family, friends and acquaintances are involved. • Secured Note: Secured note for loans that have guaranteed security and collateral involved. • Unsecured Note: Unsecured note for the loans that don’t require collateral and the lenders have their own methods of securing the borrowed money. 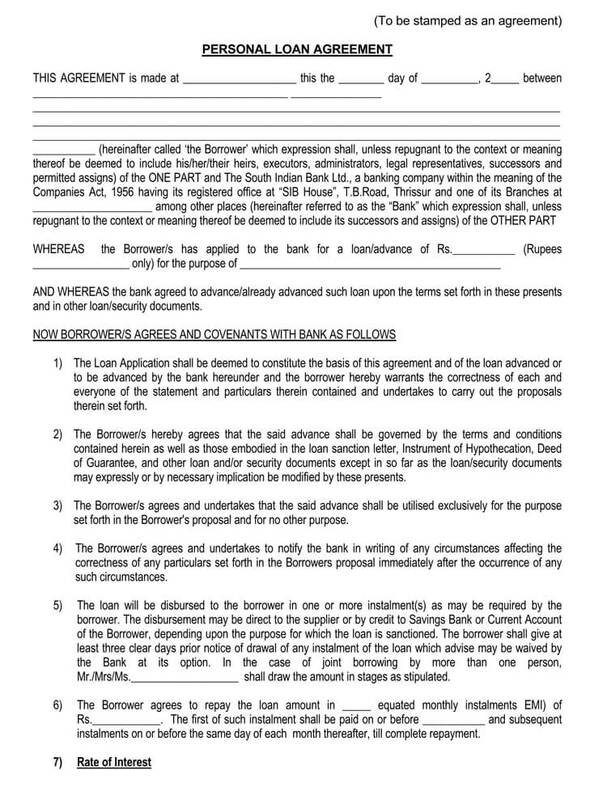 • Term Loan Agreement: This is signed when the loan is given and received on some terms and conditions. 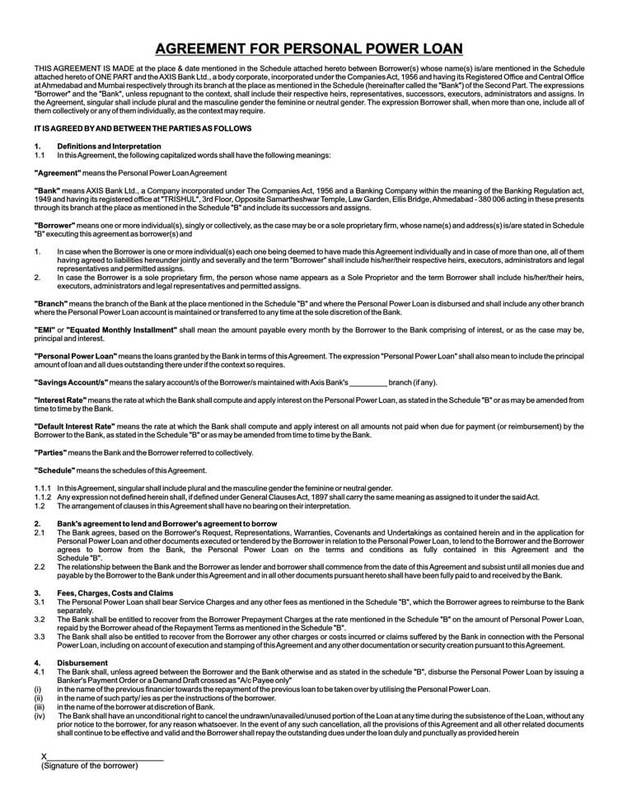 • Money Lending Agreement: This is like the loan agreement. • Family Loan Agreement: This is when the money is borrowed between family members. One might wonder why people should sign forms in such cases, yet this is a family matter. There are families that are purely legal and official in everything that goes on within and without. Developing a family loan agreement reduces chances of advantage taking and draws boundaries on issues of ownership and property. 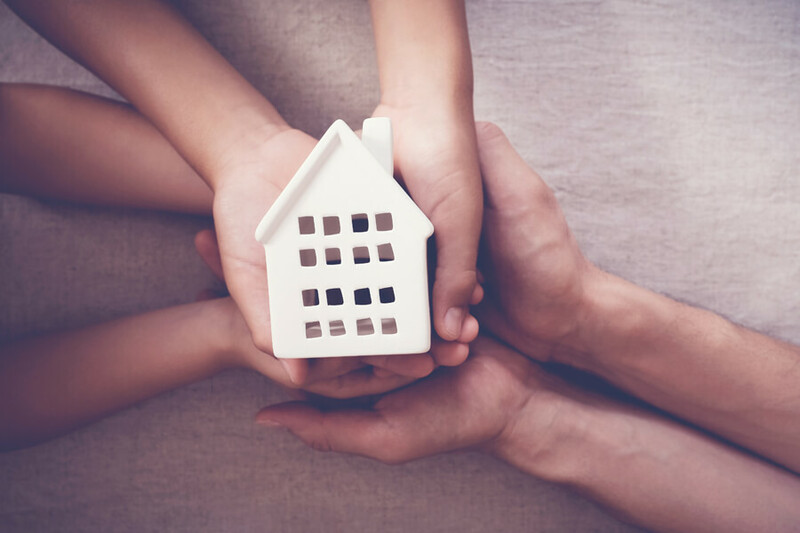 This loan agreement can be legally developed by a family lawyer or can be customarily generated to suit the conditions of the lender and the borrowers within the family setup. 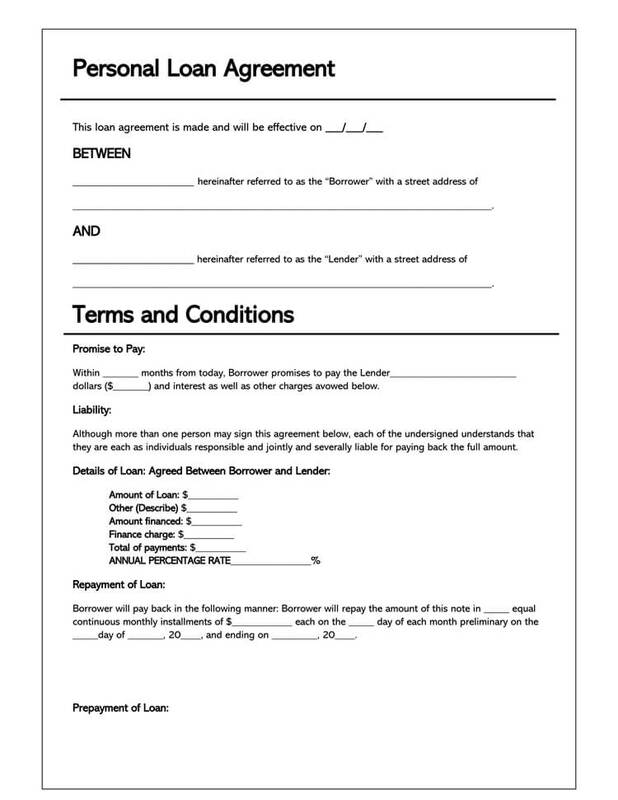 • I Owe You Loan Agreement: This is a form of agreement that shows that money was exchanged between two parties and it should be returned. 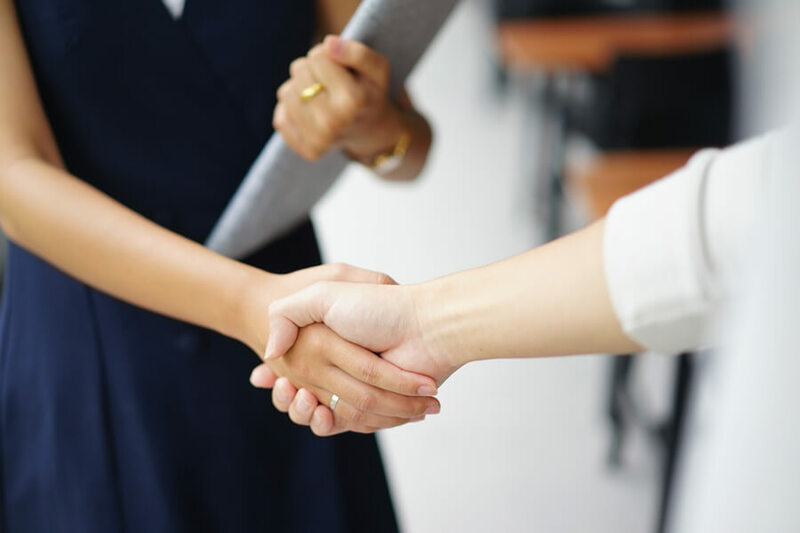 This happens between companies or individuals who have a high level of trust in each other because the vital details of the loan are always left out. There is no procedural method of borrowing developed here, just a confirmation that someone owes the other. 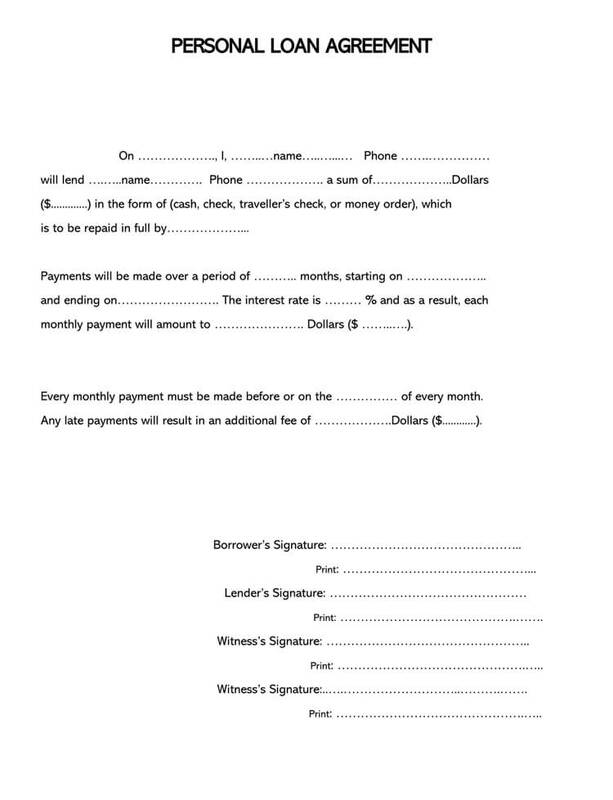 This is the simplest loan agreement that exists. • Loan Personal Guarantee Loan Agreement: There are occasions where people need loans, but their assets are not able to support the amount they are borrowing. This happens to many immigrants or new citizens who have not accrued enough credit to have the banks or lending institutions give them money. 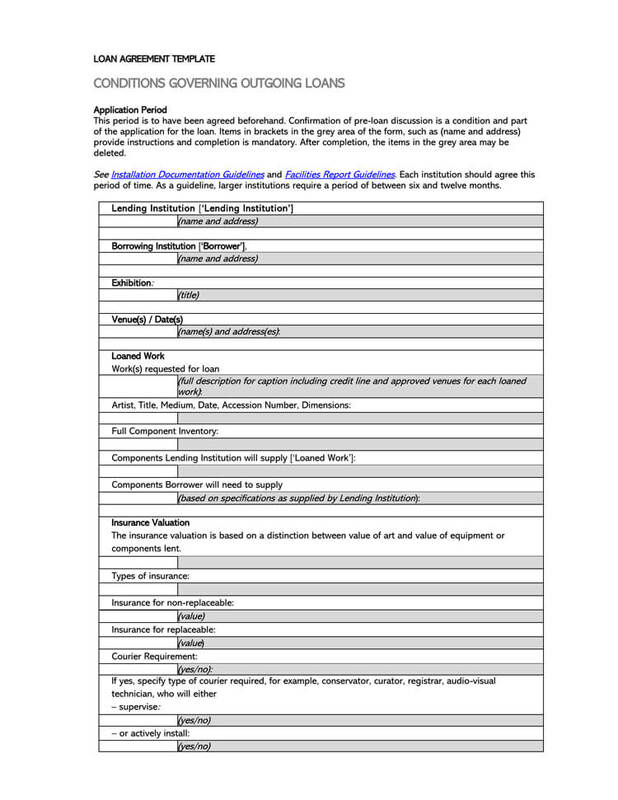 A form is created to include someone else who will be liable for the given loan. 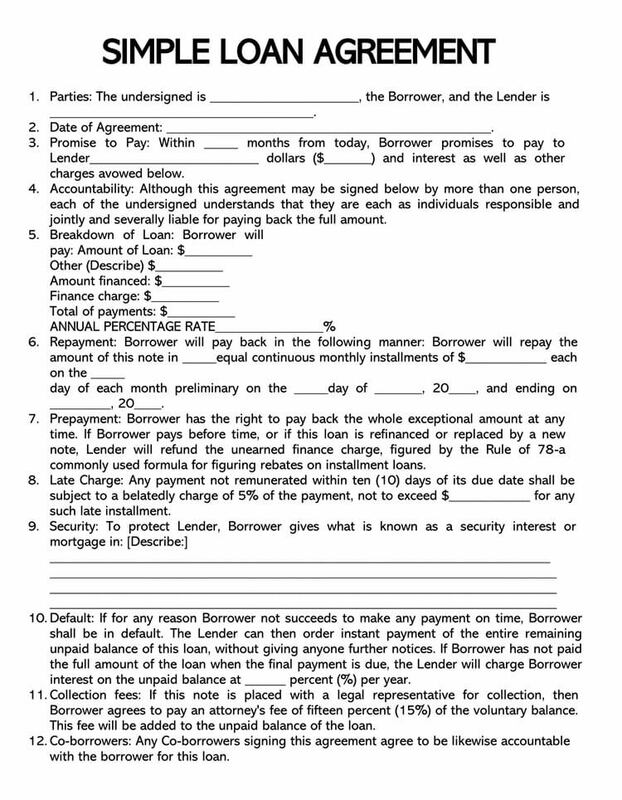 The individual has to agree to the terms and meet the conditions of the lenders. 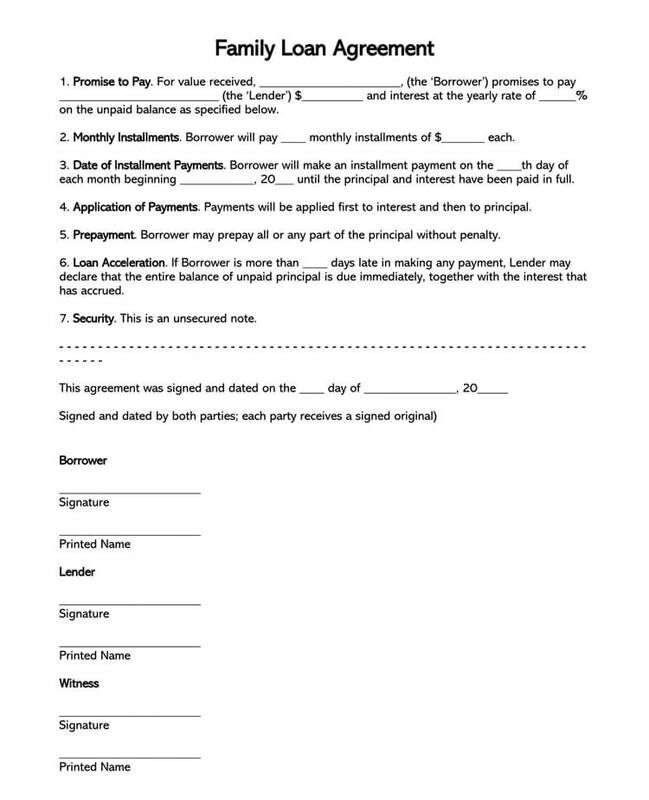 • Personal Loan Agreement: This is a form that proves and secures borrowing between individuals. 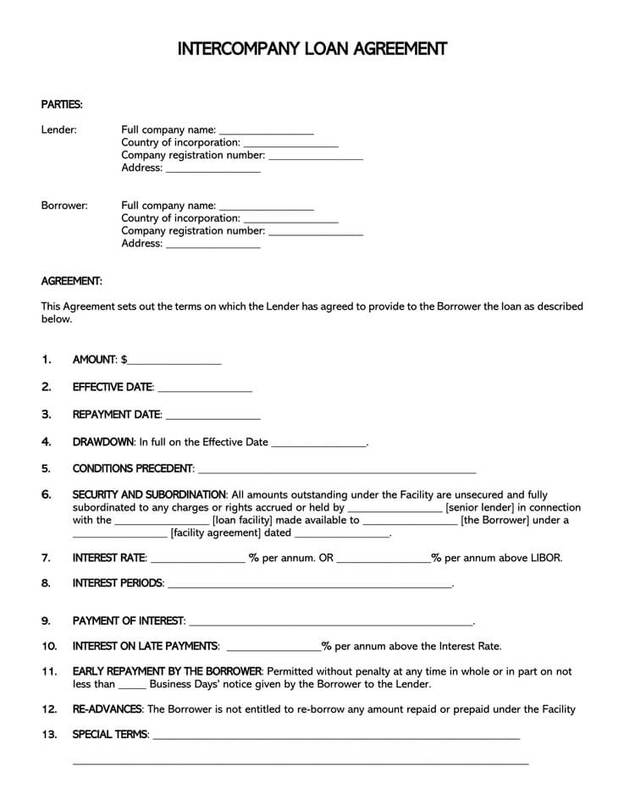 The forms are usually custom made or legally made, indicating the amount, the lending period and the return conditions. There are individuals who might demand inclusion of interest while others leave that part out depending on how well the individuals relate. • Release of Debt: This form releases the borrower from the lender after clearing the loan. 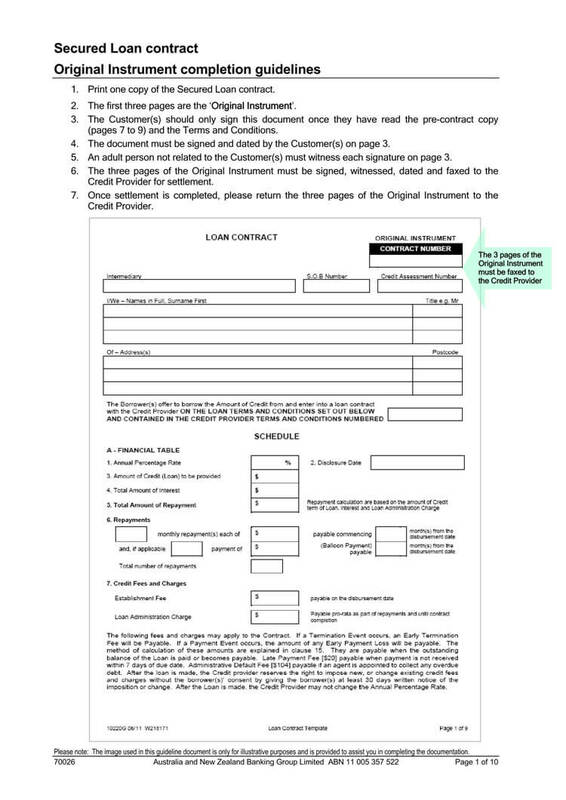 This is evidence that the loan has been dully paid in relation to the terms and conditions that had been stipulated. 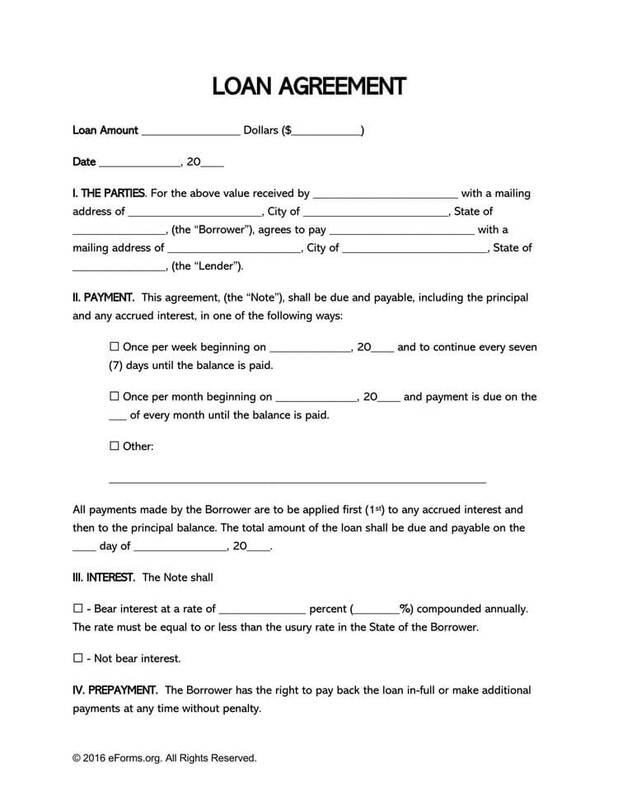 This form is very important because is releases the borrower and gives them a good credit record. • Release of Personal Guarantee Agreement: Guaranteeing a loan can be very binding and laming to the guarantor. Their borrowing abilities are reduced as well. 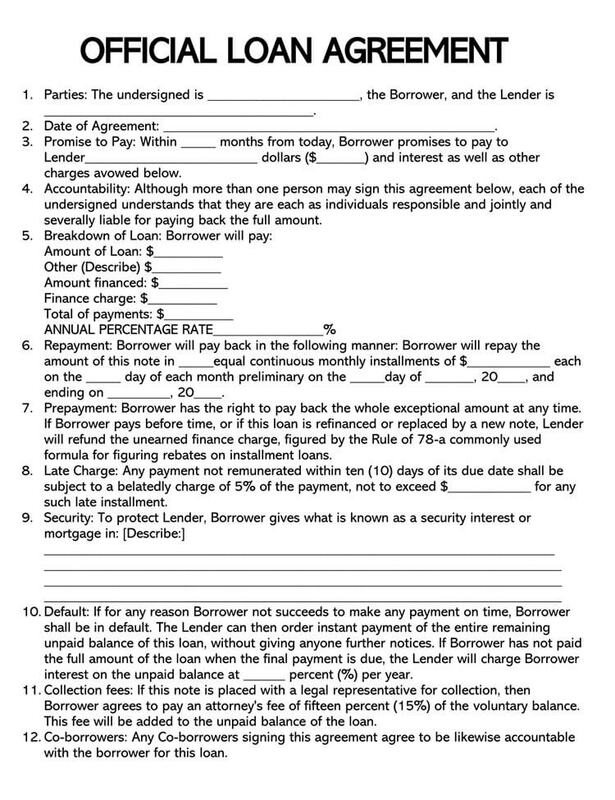 Once the debt is cleared by the primary borrower, a release form to the secondary borrower is very important. The release of personal guarantee frees the guarantor from the commitment and liability on the loan. • Secured Promissory Note: This is the list of assets that are likely to be handed to the lender in case of defaulting by the borrower. 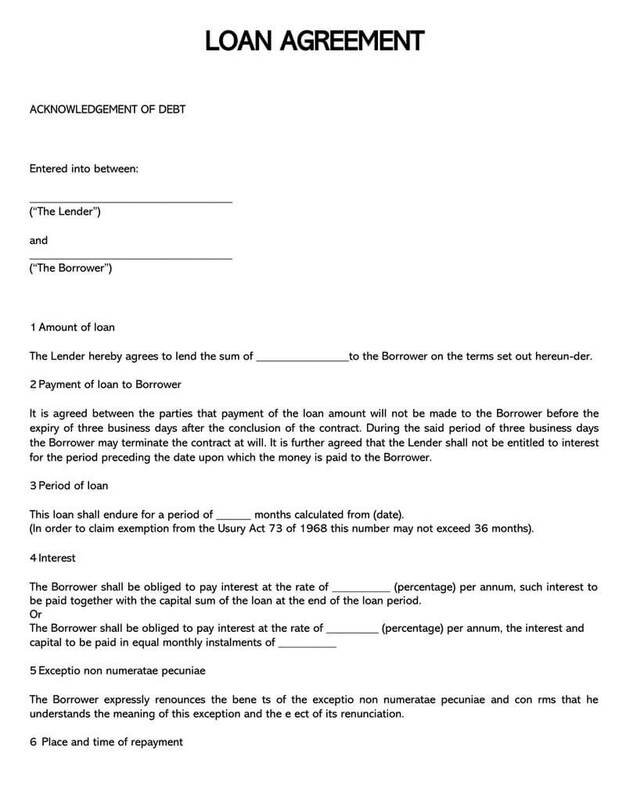 This signed document binds the borrower to doing their best to repay the loans or have their assets given in exchange. The assets are usually of the equal amount given when liquidated. • Unsecured Promissory Note: Most lending institutions are geared towards this kind of agreement due to the existence of loan insurance. In circumstances where assets are not used as security, an unsecured promissory note is made to show the repayment dates, the interest and penalties to be paid in case of any defaulting. 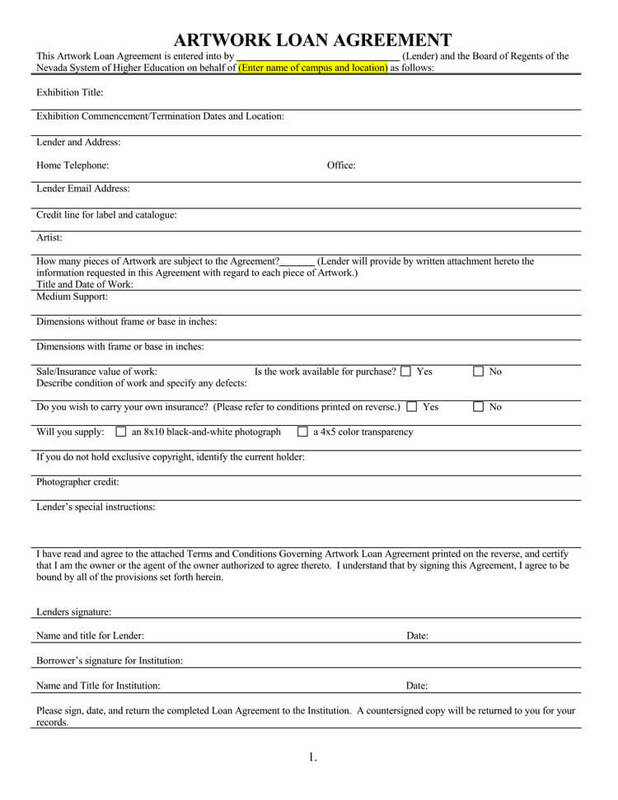 By signing this form, one binds themselves to keeping the end of the bargain. Loan agreements are signed for the purposes of clarity on the terms and conditions applying on the lender and the borrower. 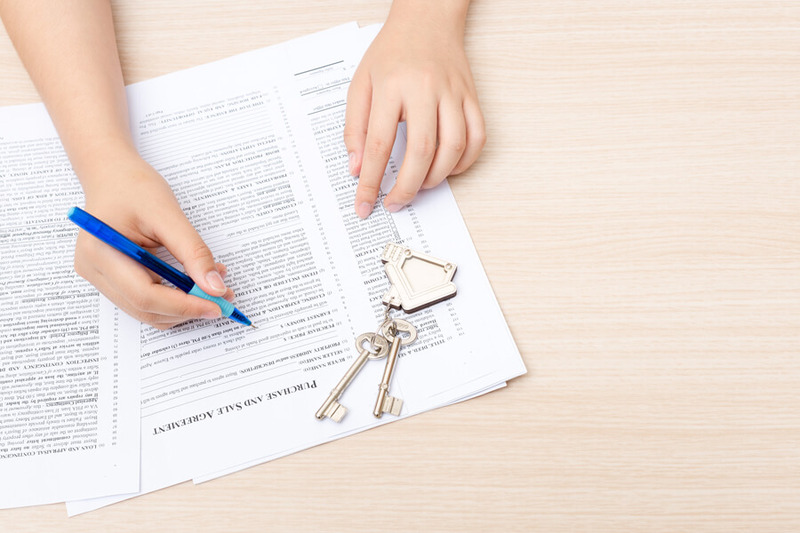 Here are some of the reasons why loan agreements are written. • Borrowing money from or lending to family and acquaintances requires agreements to avoid bridging of trust. • Borrowing from or lending money to companies or businesses requires an agreement for legal purposes and clarity of the conditions in case of changes in management, changes in business plans among other reason. • The need to regulate the mutual promises or payment and the procedure that is agreeable to both parties leads to written agreements. 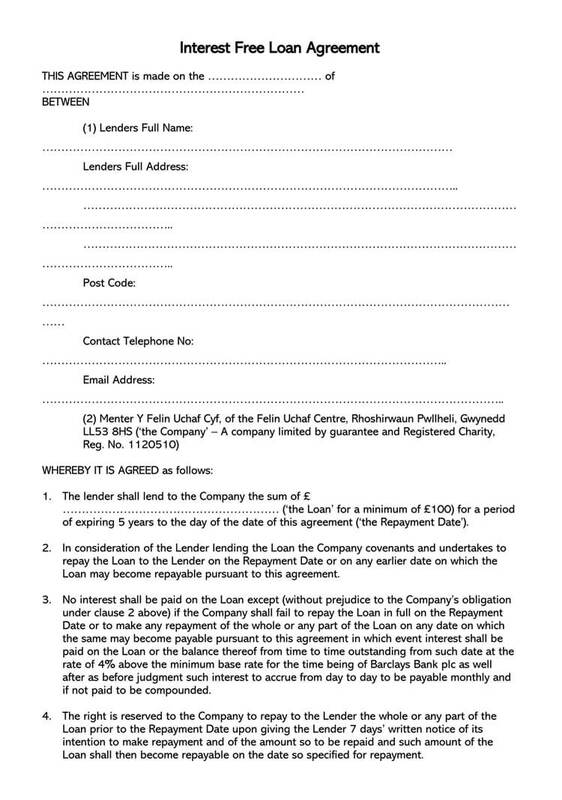 • Loans agreements are signed for legal purposes, should there be defaulting or exploitation on the side of the lender. • Loan agreements gives the details of the borrower and the lender, hence tracking activities and moments of both parties to reduce bad debt occurrences. • Loan agreements specify the purposes of the borrowed money thus clearly laying plans for follow up. • Since enforcing an oral agreement is hard, a written agreement is usually preferred to ease enforcement and follow up. 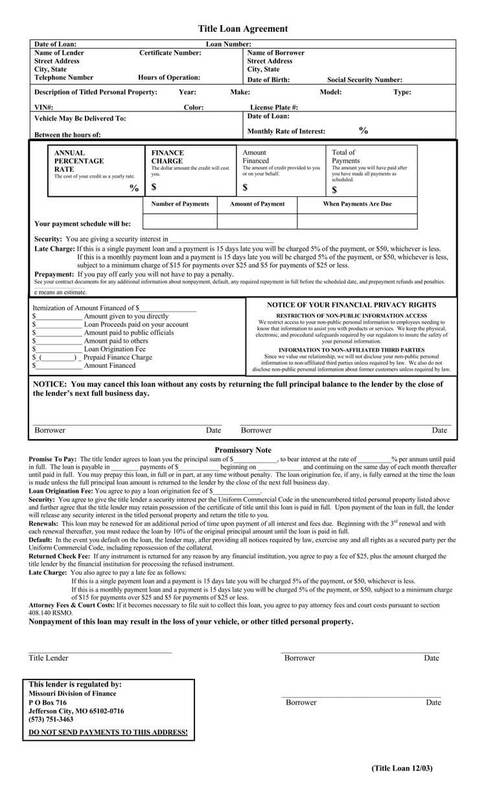 Detailed contact information _The details of the borrower, the lender, the guarantors if any, referees and witnesses are required here. The information on their official names, nationalities, physical postal addresses, gender, age and dependents are given. This is important for location and follow up when need arises. 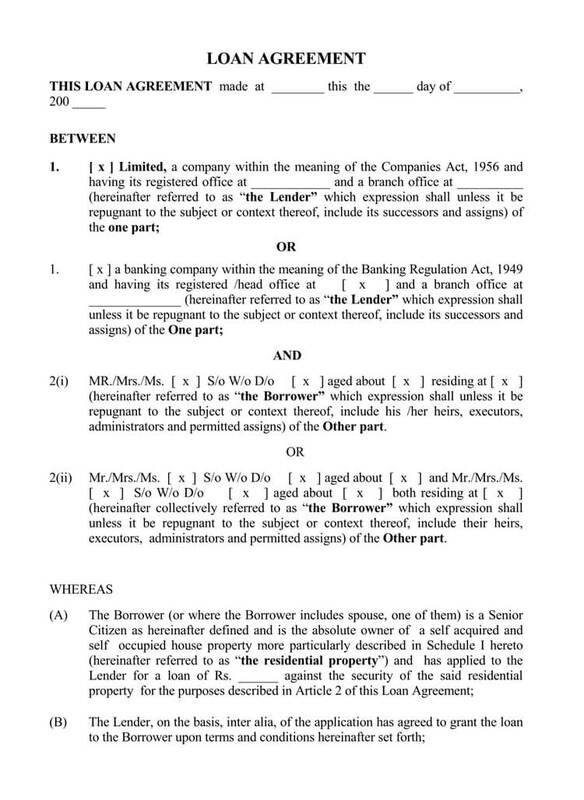 Acceleration _These are details which gives the lender protection from defaulting. Here the details of the payment mode, the interest and principal amounts are indicated. This protects the lender in cases of calamity on the part of the borrower. The borrower _Here the person or company receiving the money is given. Here the details are given as required by the lender. The principal amount _This is the money that the borrower receives. It does not include the interest or any other charges that the loans might attract. Just the amount taken home. Maturity date _The maturity date of the loan is when the money ready to be disbursed by the lending institution. This enables both parties to prepare for disbursement and reception of the amount. The interest _Lenders make their profits through interest. This is the amount added on the principal amount as payback for the loan given. Interest is always a percentage of the given amount spread across the paying period. Collateral Loan _security is important. 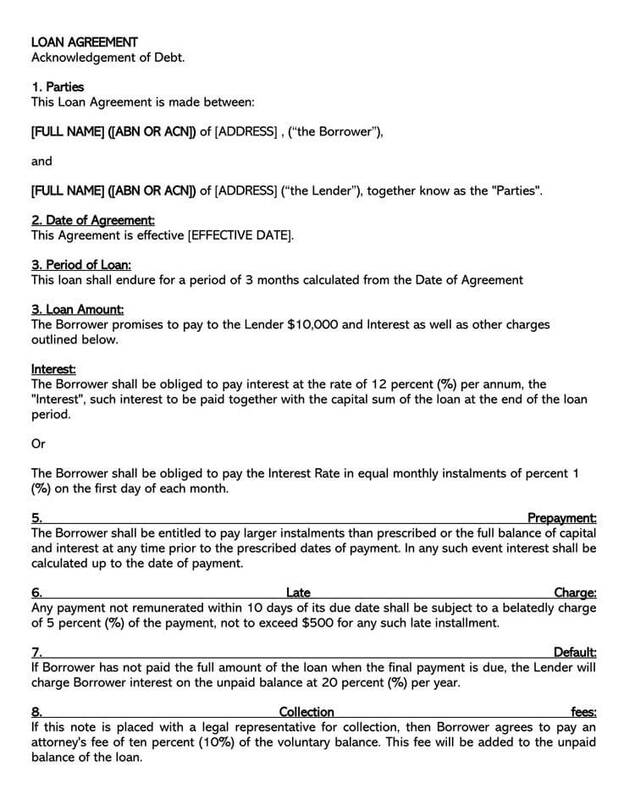 The agreement clearly explains how collateral works for the borrower to understand. Collateral is usually an asset that the borrower commits to be used to recover the loan should they fail to pay. Amendment _Amendments occur when in future there are changes in the form of payment. Sometimes the lending institution might change localities or management. This calls for amendments on the agreement for accuracy of details. Default _Details on what is considered as defaulting and penalties are also included here. Both parties give their conditions and signed against what can work for them. These details are important especially when legal action is needed later. The repayment schedule _In case of instalments, when should they be paid? The dates of depositing and what happens in case they are defaulted. There are two types of schedules: even total and even principal payments. The lender chooses the schedule. Late repayment _In case of prepayment or late payments, the agreement gives exactly what is expected by both parties. There might be charges in some cases. The governing law _Every country has its own laws on lending money. Firms and companies also have their own that are woven to fit what the law requires. 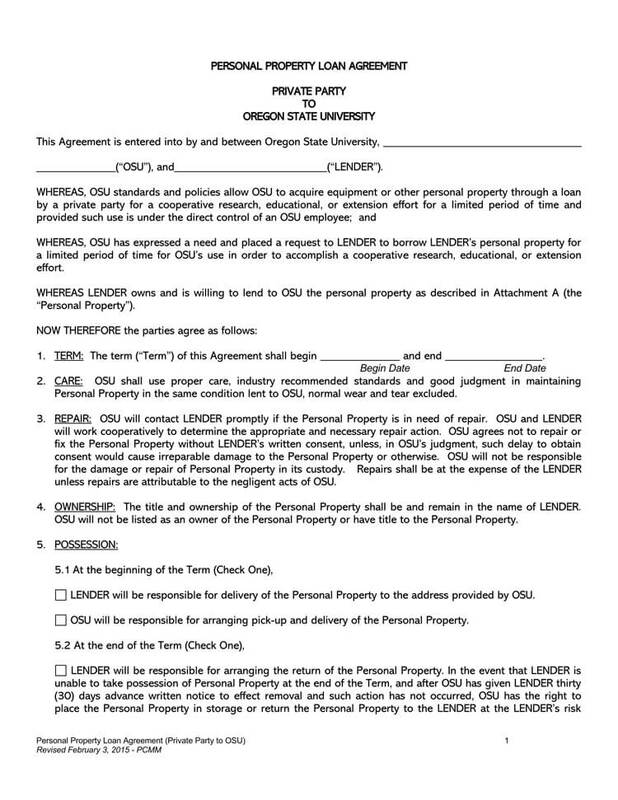 These details are also included in some loan agreements for legal references. Loan transfer _When the loan reaches a point of transfer, the section of the right to transfer is filled so that it may be transferred to another party. The party should be involved in signing this part. Joint Liability _In cases of joint and several liability, every involved party is given the details of their roles and the terms of conditions of participating. Security Details _This works for secured and unsecured loans. The security details have been written and agreed upon by both parties. Dates and signatures _Proper dates are given and spaces for signatures and names provided. • Agreement helps in setting out amortization details including borrowed amount, repayment dates, interest rates, penalties if any, loan security details and mode of disbursement. • The agreement gives security details to the borrower and the lender to avoid future disagreements. • Interpretation of the terms and conditions of the loan especially when huge sums of money are concerned. 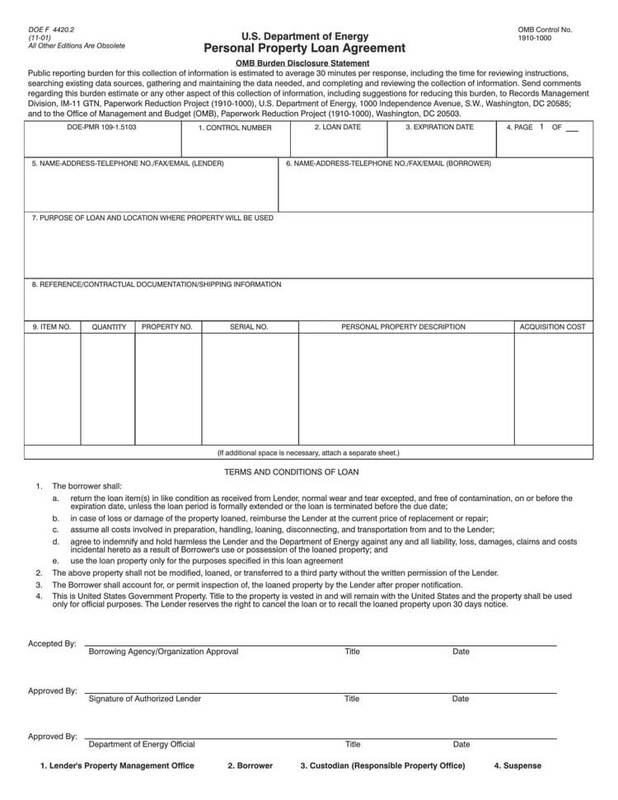 The form helps both parties including the guarantors to see exactly what they are getting themselves into. It is normally advisable to always keenly go through the details of an agreement before signing it. 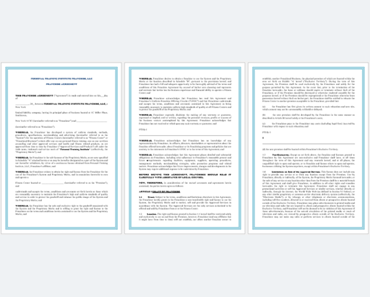 The agreements might be written in the presence of a legal personnel or can be custom made by the involved parties. Most of the lending institutions have their own developed loan agreements. 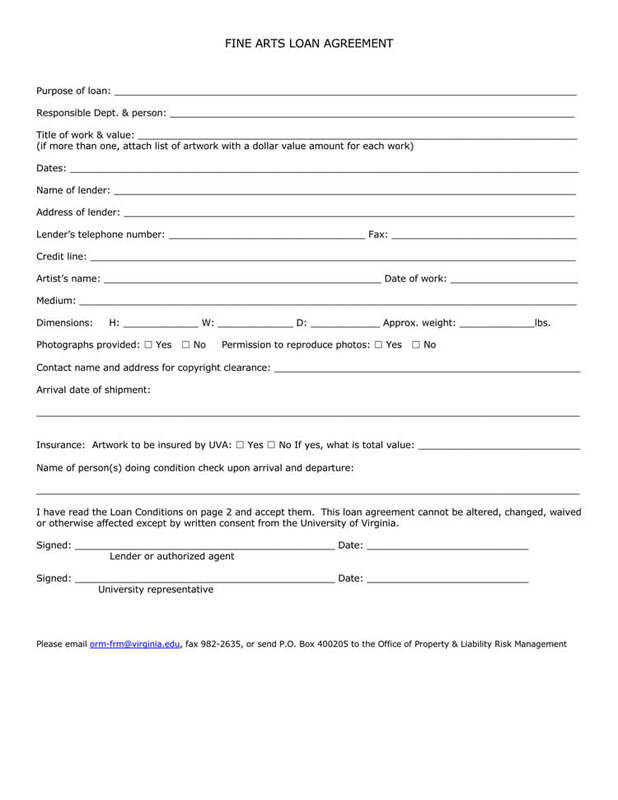 Families that are in business and value legal safety also have their own forms. It is usually not an act of mistrust when forms are procured but it is for security and formality. 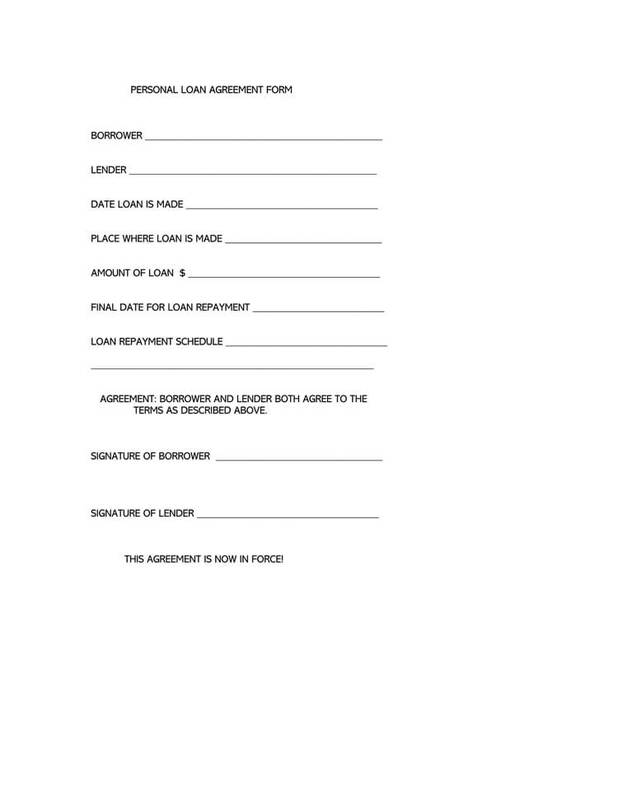 Many people view signing forms especially for personal loans as an act of mistrust but that is normally not the case. 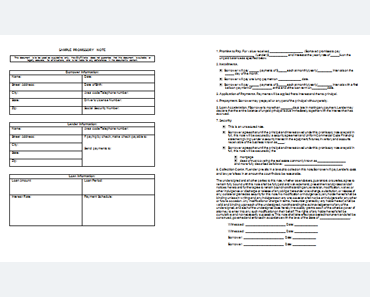 Forms are just important for legal safety and record keeping. However, in cases of institutional lending, they are entirely a security measure. Several reasons could propel you to seek a loan agreement of which all will be associated with either borrowing or fully paying a loan. Here are some detailed ideas on why you would require a loan agreement. Business Loan– When you are in the process of starting a new business or your current business is in a bad financial situation; you may require taking a personal guarantee to accept liability when borrowing a loan on behalf of the business. Car Loan– A loan agreement is vital when borrowing to buy a new or used car as it holds a term of around five years. FHA Loan– It is difficult to acquire a loan to buy a house when your credit score is below 580. Therefore, you need a loan agreement to purchase insurance in case you default on the loan or mortgage. Payday Loan– Popularly known as ‘cash advance,’ this one requires to commit the lender providing details on their previous salary and provides account information on where their employer sends the salary. Personal Loan– A loan between family and friends. Student Loan– A loan agreement is given by the federal government to pay tuition for a student at a college or university. 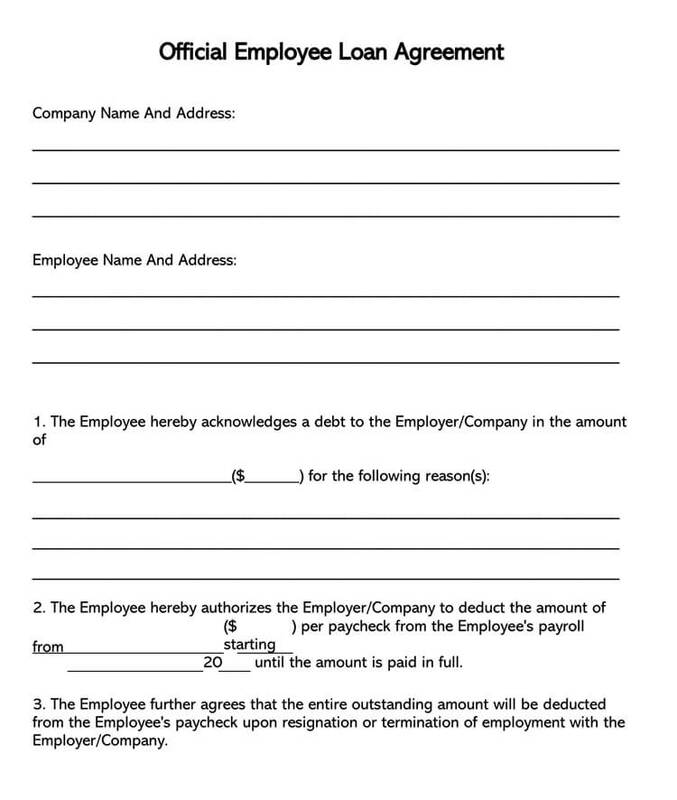 • When you are lending someone money unofficially, but you want to protect yourself by signing a form of evidence. • When you are borrowing, but you want to instill confidence on the lender that you are going to pay the debt. • When you require to lend money, and you need collateral provided in case of loan default. 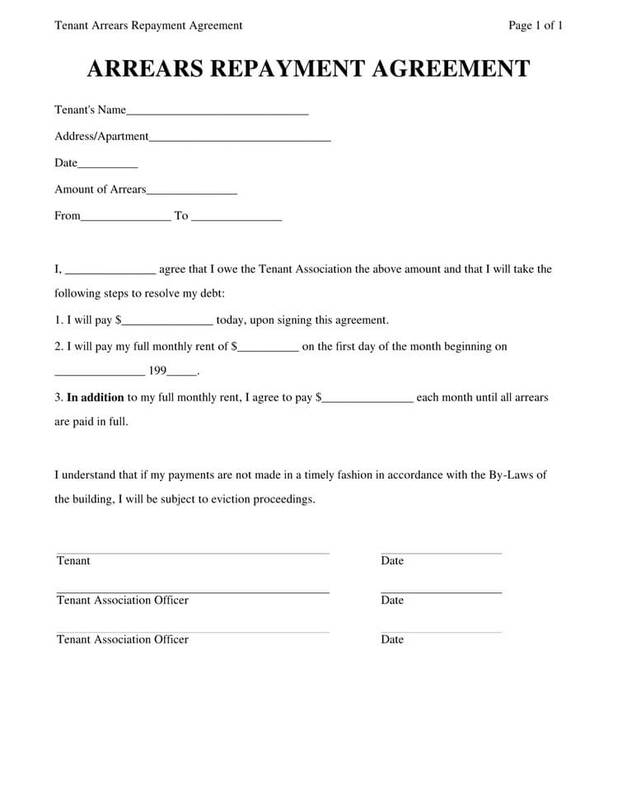 • When you want to determine the monthly amount you are going to pay or be paid according to the agreement. Helping people close to someone feels good since it is a moral responsibility. Charging interest on friends, colleagues or family members might be hard but at the same time, money stays intact when constantly grown. One way of growing money is through lending at an interest. Of at all, if you want to continue helping, then interest will be important. In doing so you should consider looking at the stipulated laws governing interests to avoid pain and conflict. There are countries that have constitutional advice to the lenders and their institutions on how to charge interest on the loans they offer. Some institutions follow the given criterion. Some private lenders have their own methods of generating interest in relation to the amount of money borrowed and the conditions surrounding the lending period. The longer the period, the higher the interest rates. There are two types of paying schedules: Even principal payments and even total payments. Even principal payments require the same amount given throughout including the interests. On the other hand, even total payment guarantees a reducing interest rate on the total amount to be given. The best schedule in this case is the even total payment because it favors the borrower. Repayment schedules are also dependent on the type of loan and the amount given. However, the best repayment schedule is the monthly instalments since that is an enough period of time to make enough for the instalments and self-upkeep. Loaning someone with bad credit is a risk that one should really think through before going ahead with it. If someone has a bad credit rating, they are likely to default the loan should they be given. However, there are people who have been badly rated for genuine reasons. Before lending, it is good to do a background research on why the person was badly rated. Here an informed decision can be made. Getting a personal loan with bad credit is normally very hard. 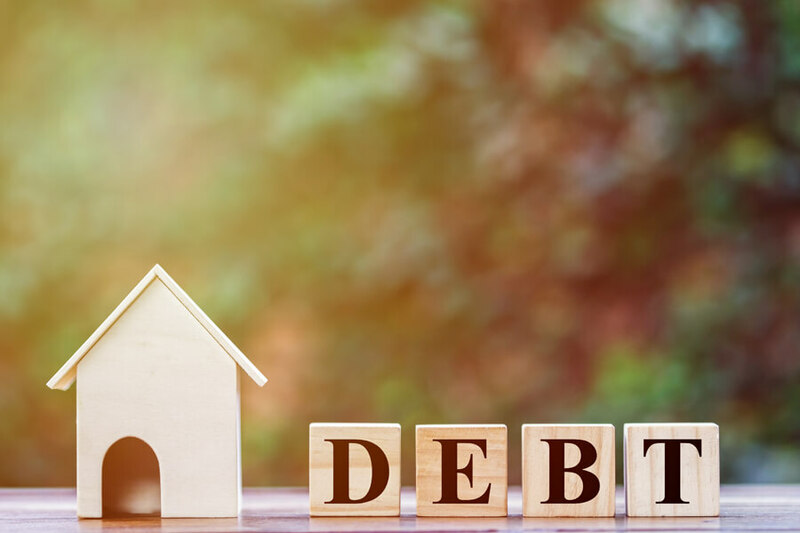 Many people who lend to personal borrowers consider going through their abilities to repay the loan and one of the easiest ways of knowing whether someone has the ability is through their credit rating. However, with a good explanation as to why one needs the loan even though they have bad credit, and assurance of the ability to pay the specific one, it is possible to borrow on a personal level. Subsidized loans are loans which the federal government pays for their interests when the student is in college or when the loan is in deferment while the loan starts accruing interests as soon as it is taken out. Sharking occurs when money is given to individual or companies to run a business or work on an income and profit generating ideas. The sharks give money and expect returns after investments. The sharks also own the business fully or partially until the amount agreed on is fully paid together with the profits estimated. To consolidate I loan implies putting together all the debts that one has and paying them as one with new loaning terms and conditions. Loan consolidations are considered for low interests and ability to focus on one loan rather than many. Larger loans are used to pay small ones in this case. This is a federal student’s loan that is offered to the parent of the student. These loans are normally given to graduate students or professional students in America t cater for the tuition and payment of financial packages.